We'll see it next month at the Tokyo Auto Salon 2019. We’ve been sharing a lot of content related to the upcoming Tokyo Auto Salon and we figured the Toyota Hilux Black Rally Edition deserves its 15 minutes of fame even though it will remain a Japan-only affair. 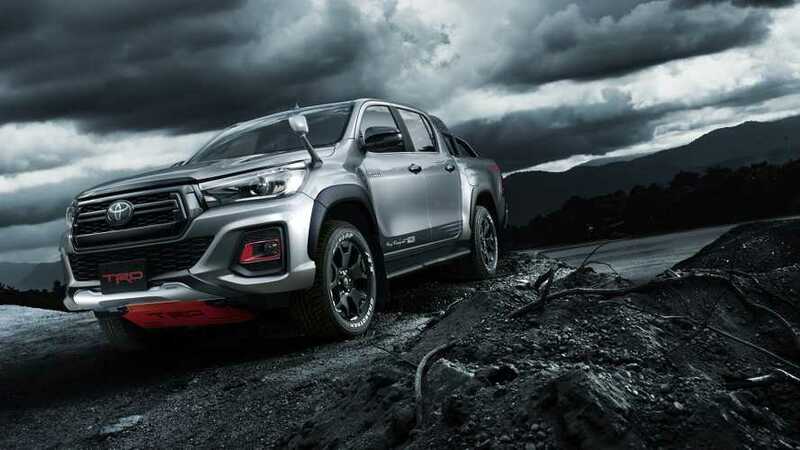 Following the Brazilian launch of the Gazoo Racing-branded Hilux last month at the Sao Paulo Motor Show, Toyota has modified its workhorse yet again for a special edition featuring an assortment of goodies from the Toyota Racing Development division. 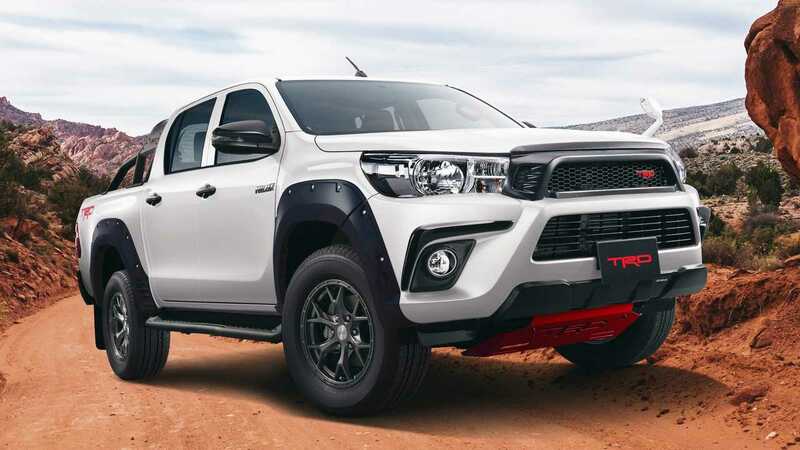 Aside from the obvious TRD branding, the new Hilux Black Rally Edition sits on black alloy wheels featuring a double-spoke design and comes with side steps and side decals as well as a chromed dual exhaust setup. Mud flaps with TRD lettering have been added to really drive the point home, and there are some red accents to spruce up the pickup truck furthermore. Rounding off the upgrades is a sports bar and a red fuel cap with TRD branding, of course. Available in either extended cab or crew cab body styles, the Hilux Black Rally Edition will share the spotlight at the upcoming Tokyo Auto Salon 2019 with another Toyota modified with TRD parts, the facelifted Prius unveiled earlier this week. However, the main attraction at the company’s stand in Japan will undoubtedly be the GR Supra Super GT likely set to preview a future Super GT-spec race car based on the highly anticipated fifth-generation Supra (A90). As a refresher, the road car will premiere later in January at the Detroit Auto Show.